A well-established project by now, Antibiotice’s Summer School a+ opened its doors on July 14th, 2016, for the seventh edition. There will be four weeks of free courses held for final-year students, MA students and graduates of the Faculties of Pharmacy, Chemistry, Biology and Chemical Engineering. The 30 students and graduates eligible to enroll in the Summer School a+ will be lectured by in-house specialists on: pharmaceutical development, quality assurance, regulatory affairs, manufacturing, clinical research and bioequivalence pharmacovigilance. After completing the course, participants will sit an assessment test which constitutes the preselection for future available positions in the company. 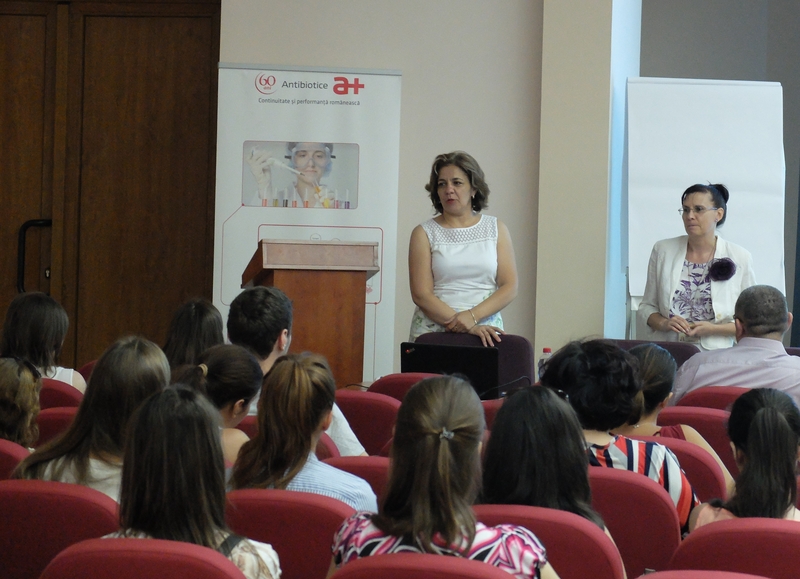 “In the seven editions of Summer School a+ so far, we organized classes for 350 students, among whom 25 were hired by our company, joining the research and quality departments in particular,” said Mihaela Ceuca, head of HR. Summer School a+ is a complex and consistent educational program initiated by Antibiotice in the summer of 2010, in partnership with G.T. Popa University Medicine and Pharmacy, Alexandru Ioan Cuza University and Gheorge Asachi University. Besides the external component, Summer School a+ has in view programs of continuous training and development for our employees. Approximately 500 employees take up multidisciplinary training and professional skills development modules each year, in areas such as brand management, communication, leadership, innovation and creativity, risk management, organizational behavior, as well as workshops on developing managerial skills. The usefulness of the topics addressed is achieved by aligning training modules to the company’s strategic development priorities for the coming years. This year, courses for employees are conducted in June-July and September.